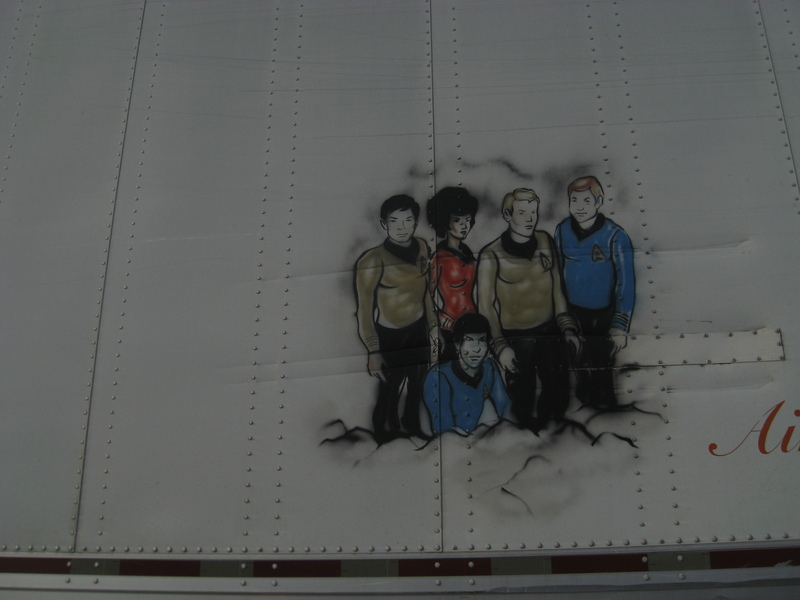 When riding into Memphis from Mississippi with my wife Nicki, we occasionally see an 18-wheeler with Star Trek emblems, ship, and characters painted on the side of it. 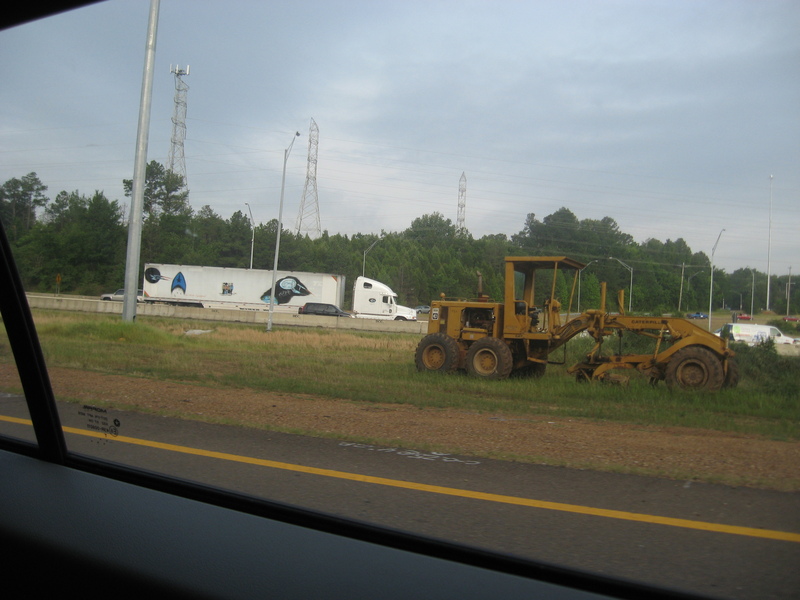 I’ve seen it here and there for a few years now- either at a weigh station or going the opposite direction on I-55, usually early in the morning before rush-hour hits. 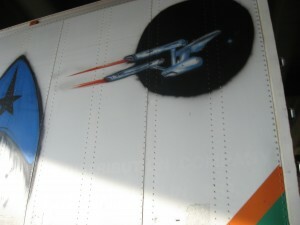 I always called it the “Trekker-Trucker“. Nicki refers to it as the “Shatner-Mobile“. Either way it’s definitely “Have Geek, Will Travel” approved! But this “Enterprise” is not commanded by the Federation’s Captain James T. Kirk. 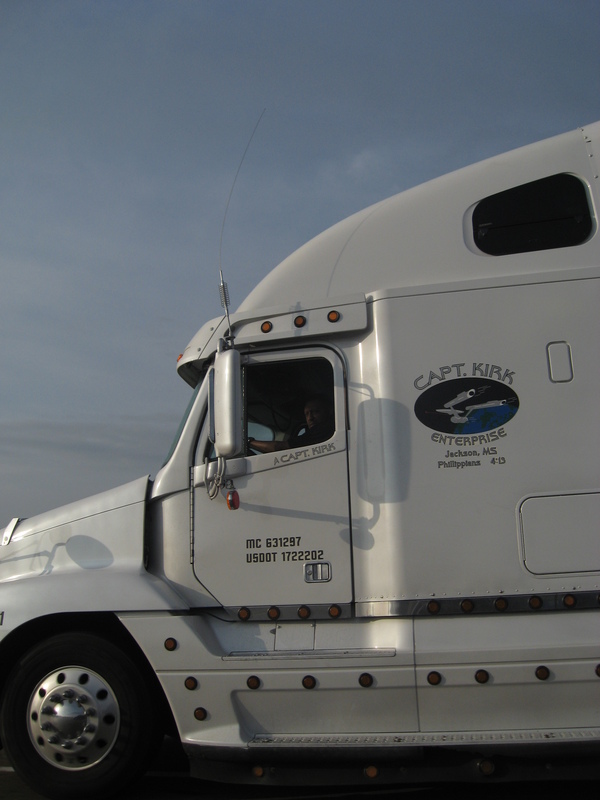 Nope, it is piloted by Captain Kirk Williams– owner and operator of the Jackson, Mississippi based trucking company, “Captain Kirk Enterprises”. I couldn’t find out much about him and his truck on-line, but did run across this article. 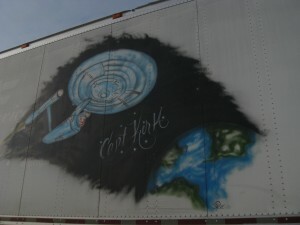 Captain Kirk and his 18-wheeled Enterprise make a regular round-trip run to Memphis and back each day of the week. 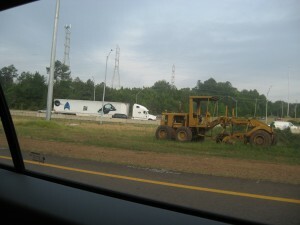 I usually see him on I-55, the weigh station there, or making his way through Memphis on I-240. 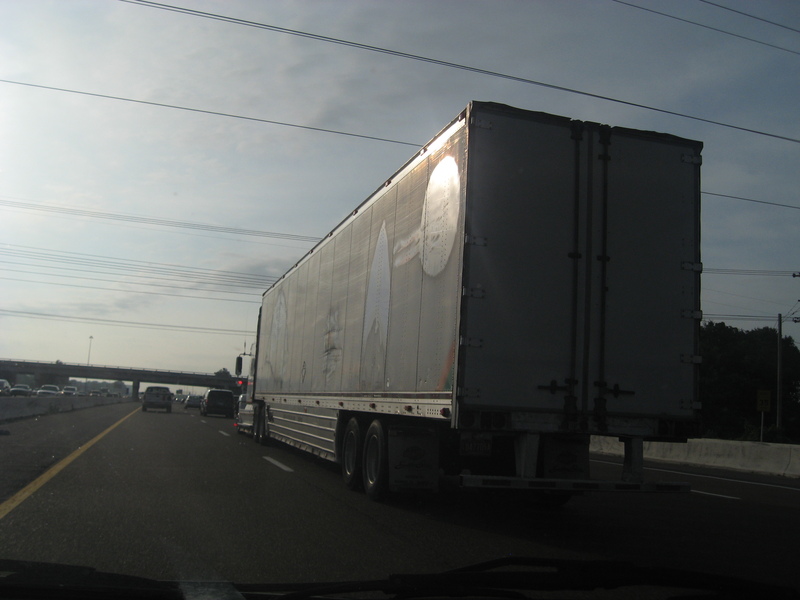 …before it closed its doors..? Heard it may come back as a flea market and farmers market. 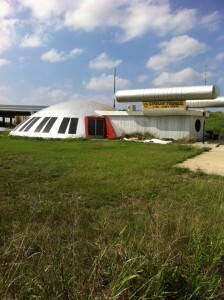 Hope so- I love weird buildings and attractions. 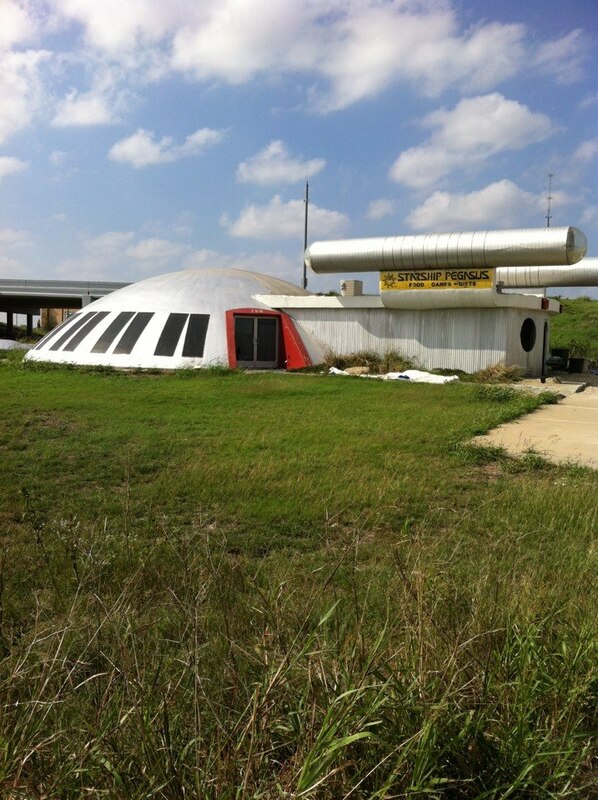 This country is losing a lot of its strange roadside attractions. Good luck Capt. 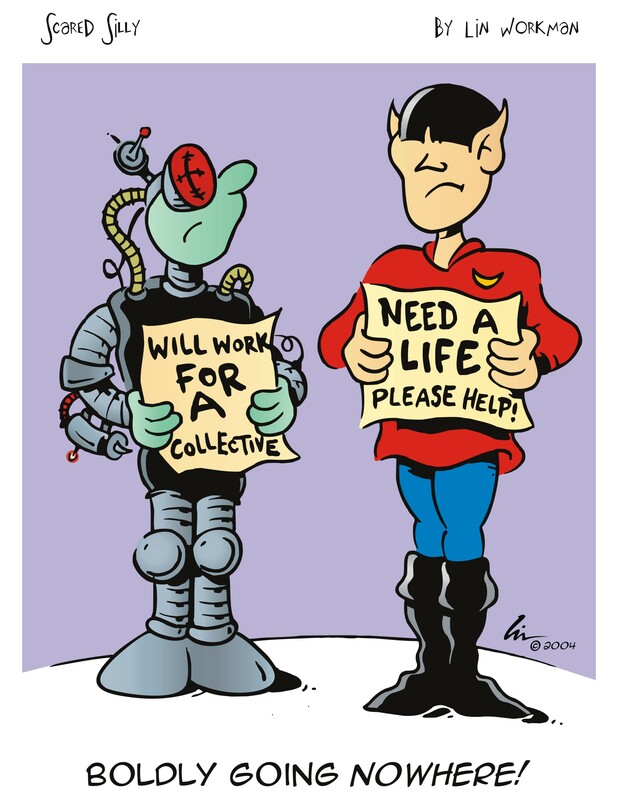 Kirk on your daily missions to Planet Memphis…and may you live long and prosper! 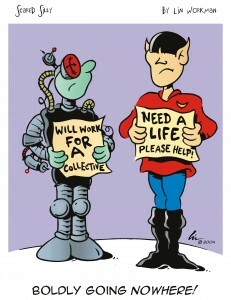 Thanks for posting this, Lin. I’ve seen that truck LOTS of times and always wondered about it.